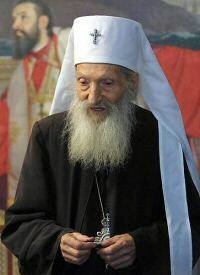 ELGRADE, May 29, 2003 - Excerpts from the letter of His Holiness Patriarch of Serbia Pavle to His Beatitude Archbishop Christodoulos of Athens and all Greece in which he extended greetings to the participants of a solemn convocation in Athens marking the 550th Anniversary of the fall of Constantinople. THE HORRIFIC event of the Fall itself falls into the domain of the unreachable judgments of the Wisdom of God, which transcend human understanding, represents the open wound of the Orthodox Christian conscience, but it is also a confirmation of the eternal truth, that the "image of this world" is passing, while at the same time a confirmation of the indestructibility of the One, Holy, Catholic and Apostolic Church, according to the promise of Christ. 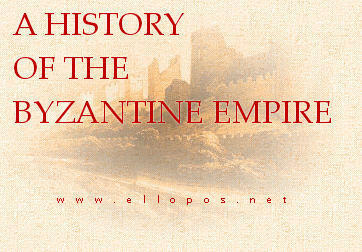 REMEMBERING, therefore, the Fall of Constantinople, we venerate the wounds of the Crucified Lord and confirm ourselves in the power of His Resurrection, witnessing before all peoples Him as the Stone, which the builders rejected and reject, and He has become the "Cornerstone, and this is marvelous in our eyes". In that name we offer brotherly veneration to Your Beatitude and to all the participants in the convocation marking the 550th Anniversary of the Fall of Constantinople, greeting you with the joyous Paschal greeting: "CHRIST IS RISEN!"